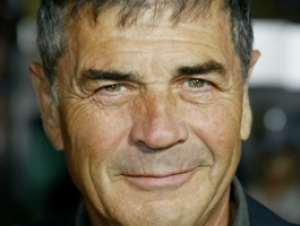 Academy Award nominee Robert Forster, best known for his roles in Medium Cool (1969), Jackie Brown (1997), Heroes (2006–2011), The Descendants (2011), and Breaking Bad (2013), will spend the week of October 28 at the Burchfield Penney Art Center at Buffalo State as an artist in residence. Forster, who received the Oscar nomination for best supporting actor for his role as Max Cherry in Quentin Tarantino’s Jackie Brown, will work with students from Buffalo State’s Theater Department, led by assistant professor Carlos Jones, working to develop a single performance, The One Man Show. Jeffrey Hirschberg, associate professor and director of the television and film arts program, will co-lead the effort. Forster’s residency will begin with A Conversation with Robert Forster, a riveting hour of insider movie and theater talk, in the Burchfield Penney’s Peter and Elizabeth C. Tower Auditorium, on Monday, October 28, at 7:30 p.m. Admission is free for students and $10 for the general public. The actor will share the work of his residency in a single performance, The One Man Show, on Saturday, November 2, at 8:00 p.m. The show, open only to members of the Burchfield Penney and Buffalo State students, faculty, and staff, will be presented with the assistance of students from the Theater Department. 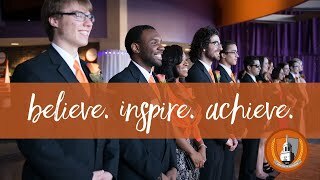 Tickets are free for Buffalo State students and $10 for Burchfield Penney members and Buffalo State faculty and staff. Forster has built a reputation for his solid work in films and television across a wide range of genres. He has appeared in more than 100 films, starting in 1967 with Reflections in a Golden Eye, followed by Medium Cool, The Stalking Moon, Alligator, Vigilante (the Blu-ray release of which earned him the moniker “Grindhouse Giant” by the New York Times), The Black Hole, and Stunts and the TV series Banyon. For 13 years, he played villains—starting with Delta Force (1985) and ending with one of his all-time favorites, American Perfekt (1997). Since his Oscar-nominated in Jackie Brown, his film work has included Olympus Has Fallen; The Descendants, Best Picture nominee; Middle Men; Ghosts of Girlfriends Past; Thick as Thieves; Like Mike; Me, Myself & Irene; Firewall; Lakeboat; and Diamond Men; and TV series Last Man Standing, Breaking Bad, Alcatraz, Heroes, Huff! Karen Sisco, and Fastlane.